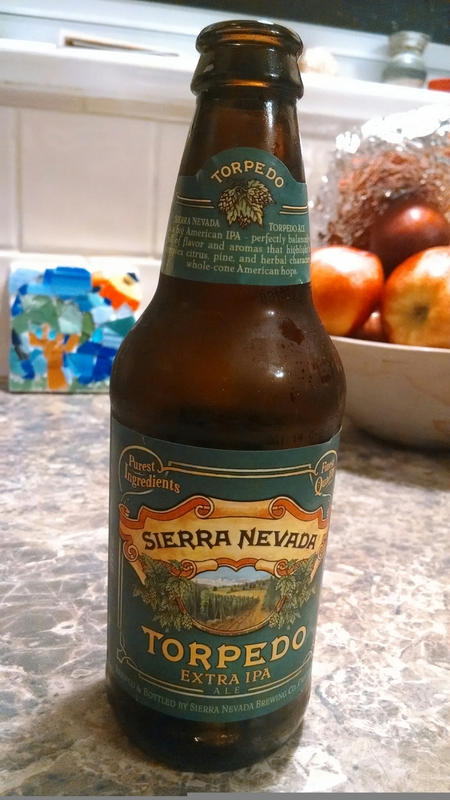 Sierra Nevada cannot go wrong with a beer from Chico, CA. I wish I could have been at the Sierra dinner, looked amazing! The nose gives out a grapefruit and piney aroma just as stated on the bottle. What intrigued me was the ‘hop torpedo’ which they say brings this beer alive and I imagine makes the ‘extra’ part of the IPA. It has a dry citrusy finish and a flavor explosion that lingers well after a swill. The torpedo is a ‘revolutionary’ method of dry hopping which I will have to leave to the brewers to explain. This beer settles at 7.2% abv and does not disappoint. It is a very refreshing brew due I think to the ‘purest ingredients’ Sierra claims on every label. https://brewbloggers.net/2013/07/25/sierra-nevada-beer-dinner-fred-ethels-lantern-light-smithville-nj/ – this beer dinner was pretty amazing. 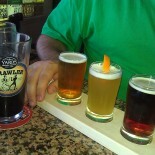 In fact, they should have another beer dinner coming up, its been a while. This post inspired me to learn more about the “Hop Torpedo”, as I haven’t had one of these since last summer when I brought it with me to beach volleyball. “The first beer to feature our “Hop Torpedo”—a revolutionary dry-hopping device that controls how much hop aroma is imparted into beer without adding additional bitterness.” I do not see a picture of the device on their site, but this varietal along with all their other delicious beers puts them squarely on the brewery tour map. I would like to first visit their new brewery that is about to open in Asheville, NC, maybe in early 2016. This entry was posted on June 2, 2014 by kurtlo in Uncategorized.